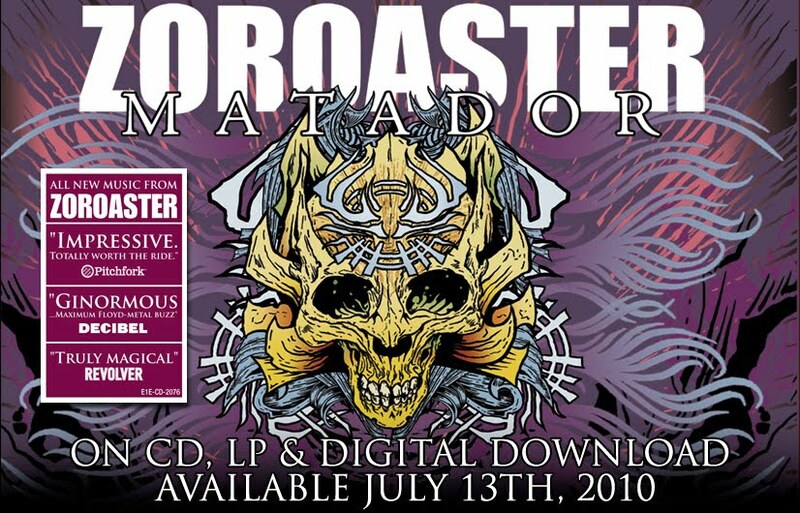 "ZOROASTER (zohr-oh-as-ter) features guitarist / vocalist Will Fiore, bassist / vocalist Brent Anderson and drummer Dan Scanlan. The trio’s live show has been described as "an obliteration of the senses", earning it the distinction of “Atlanta’s loudest band". 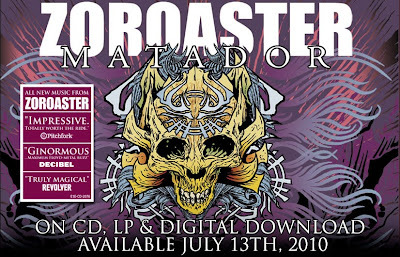 The group will headline a special Matador CD release show on July 17 at The Earl for its hometown fans. ZOROASTER’s heady mix of mammoth metal and psychotropic shoegaze has seen the trio hailed as "one of the U.S.'s most promising metal bands" and it has receiving shining praise for its explosive power, intriguing mysticism and unique take on heavy music."